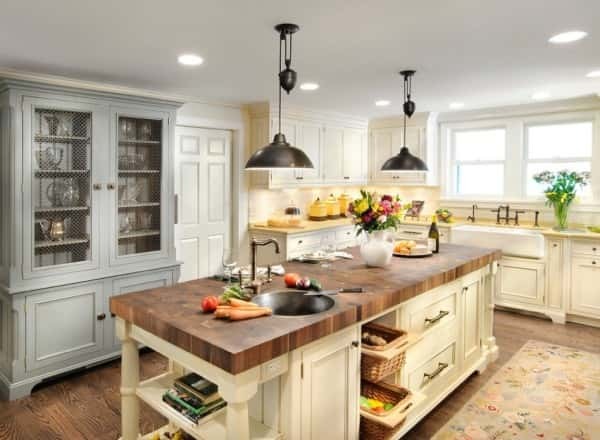 When it comes to home organization, the kitchen is often the top room on everyone’s list. Not only do we cook and eat there (both of which require countless utensils and ingredients), but it’s also the heart of the home where everyone gathers to talk. The table often doubles as homework central or a place to color. With so much taking place in this one space, it’s important your kitchen stays organized while still remaining functional and decorative. These 10 tips will help you whip your kitchen into shape. Flat surfaces often seem to accumulate clutter like it’s their only job. Countertops are especially bad — collecting junk mail, boxes of cereal, small appliances, cutting boards, knife blocks and more. Consider adding some storage solutions to the space to cut down on the clutter on your countertops. Read on for a few tips to annihilate your countertop clutter. When deciding what should get to stay on your countertops and what should be stashed, think about what you use daily. If you aren’t using it every day, store it away. Once you decide what must stay on your countertops, invest in a Lazy Susan to keep it all organized. Consider putting items like salt, pepper, sugar, creamer and coffee on it. If you’re really tight on counter space, store the Lazy Susan in a cabinet. We often neglect a huge amount of storage space in our kitchen: the walls. Hang utensils, potholders and measuring cups on the walls to save counter and drawer space. If your kitchen is large enough, you might even hang pots and pans on an overhead rack. You can also add large shelves for even more storage space. Besides on the walls, there are other storage spaces we often overlook. In some kitchens, there is space above the cabinets. Store rarely used appliances like grills and slow cookers here. 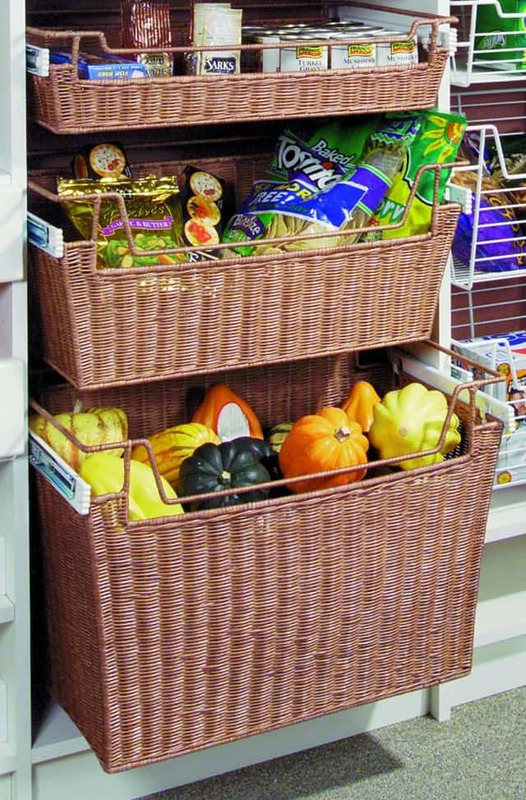 You can also install small wire baskets below some of your cabinets to store plastic wrap or utensils. Some paper towel racks can also be stored in this space. The way you store things can either take up or free up a lot of space. There are racks to help you file your baking sheets and cooling racks. Plate racks will prevent you from storing all of your different-sized plates on multiple shelves in your cabinet, while still providing easy access. Filing all of your plastic containers instead of just tossing them in one cabinet can be a huge space saver. If you’re in need of more space for your dishes and food, consider finding a pantry. This cabinet can be stored in the garage or another room in the house, freeing up your cabinets for cookware and plates. It may not be the most convenient option, but it can be a great way to add more space in your kitchen. While you may use your microwave every day, this culinary workhorse tends to take up a lot of counter space. Find an appliance cart with storage: You can use the extra space for kitchen gadgets or homework items like pencils and crayons. Not only will it help you organize the kitchen, but it can serve as storage for your kitchen’s other function as well. 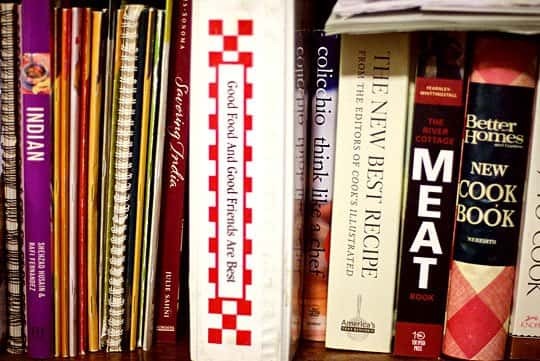 Cookbooks often take up more kitchen space than needed, considering how rarely they’re used. If you can’t bear to store them in another room on a bookshelf, consider adding wall shelves in your kitchen for books and other items like spice jars or canisters. You can also switch to e-reader cookbooks, which won’t take up any space in your kitchen. Sometimes no amount of organization will help a cluttered kitchen. If you find yourself storing skillets under your kid’s beds and canned goods in your dresser, it may be time for a kitchen remodel. Work with your contractor to come up with the most efficient layout for your space and remodel budget. If you have a large family, consider making your home a “multifamily home” by adding a second kitchen. The extra space alone will help you keep everything organized and allow everyone to have plenty of room. Doing a drastic kitchen reorganization is often enough to let you skip the remodeling and adding on space. Be sure you’re fully utilizing what space you do have before you begin calling contractors.